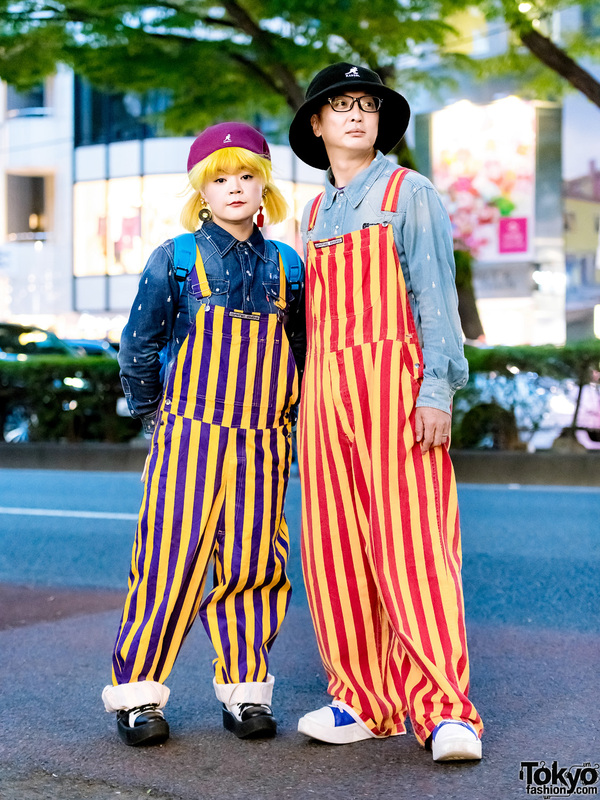 Harajuku duo sporting matching denim shirts, striped overalls and colorblock sneakers. 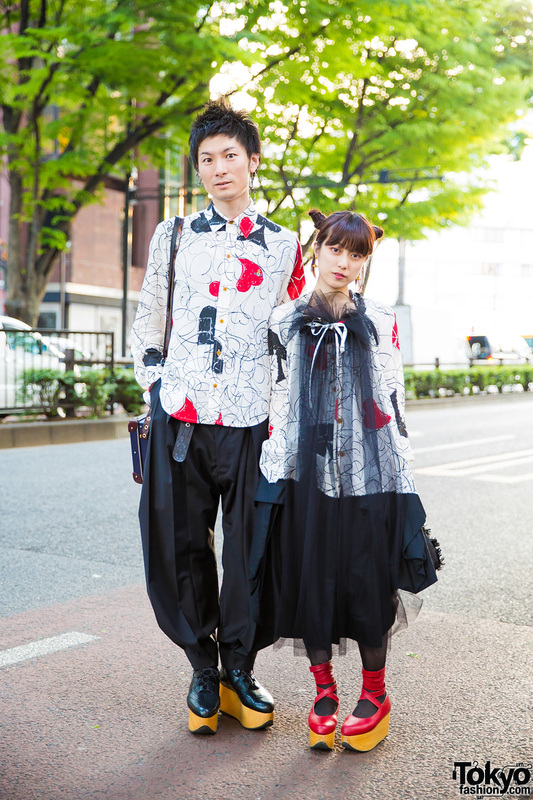 Stylish Japanese duo in matching Vivienne Westwood ensembles while out and about in Harajuku. 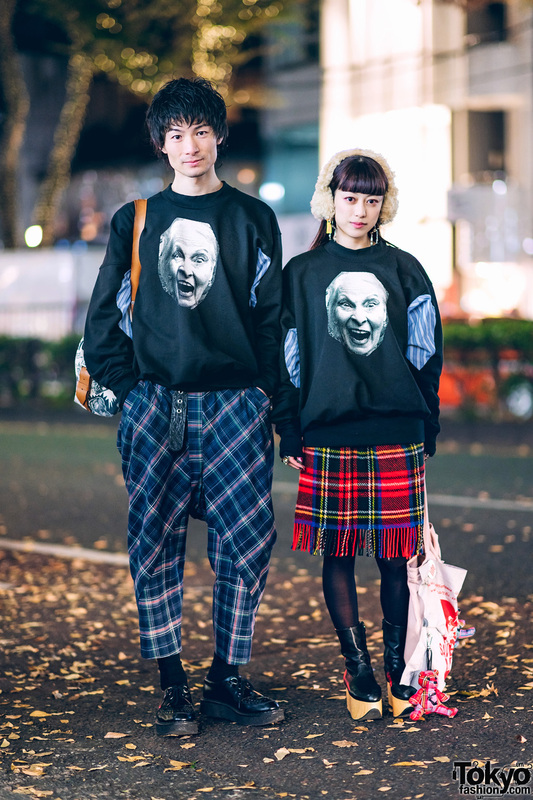 Japanese students on the street in Harajuku wearing dark matching looks including items from Alpha Industries, Christopher Nemeth, GVGV, and Rick Owens. 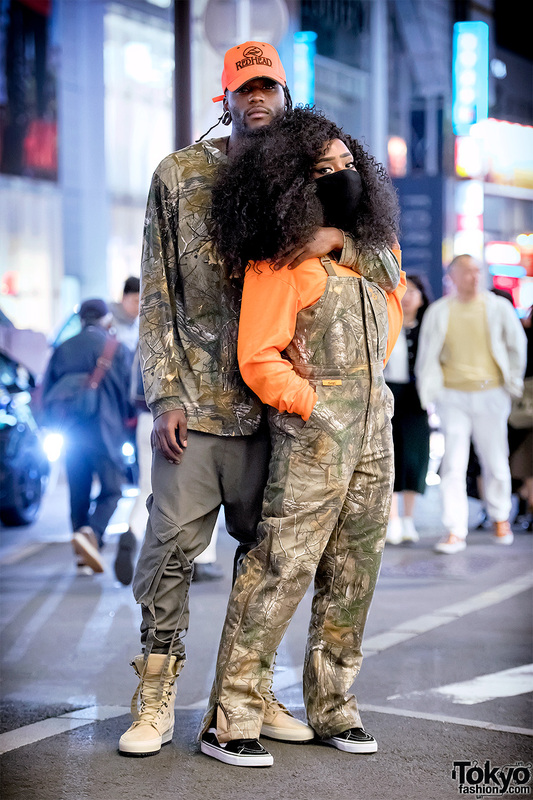 Harajuku girl and Harajuku guy in matching outfits with hunting gear including camo tops, cap, face mask, sneakers, and boots. 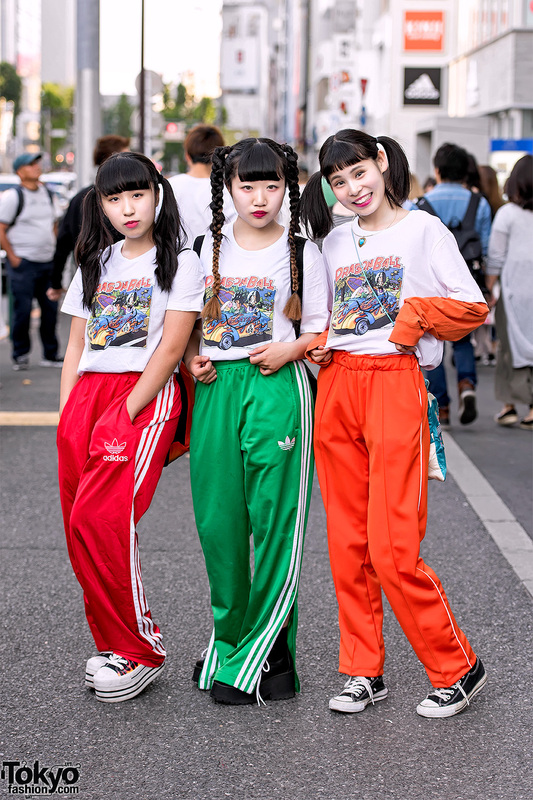 Fun Japanese high school students wearing matching Dragon Ball t-shirts with red, green, and orange striped pants on the street in Harajuku. 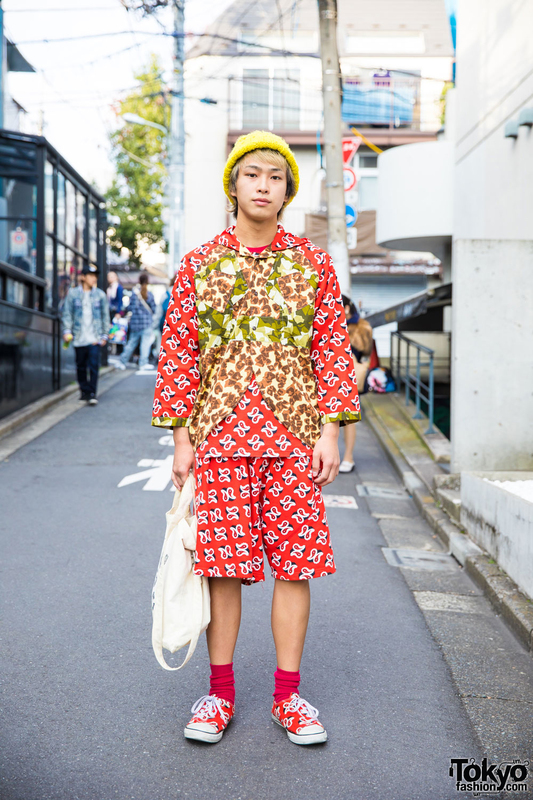 Harajuku guy in all over paisley print fashion by the Japanese brand Comme Des Garcons with yellow knit hat and canvas tote. Harajuku girls in gingham ribbon skirts by Candy Stripper with white tops, platform shoes, and cute handbags.